Three sister newspapers will compete for the Daily Newspaper of the Year at an annual media awards ceremony. Trinity Mirror stablemates the North Wales Daily Post, South Wales Echo and Western Mail are all shortlisted for the title at the forthcoming Wales Media Awards. Meanwhile, Newsquest titles the Powys County Times and Western Telegraph will face the Cambrian News for the Weekly Newspaper of the Year award. A team of more than 30 independent judges worked their way through almost 200 entries in 19 categories ahead of deciding the shortlist. 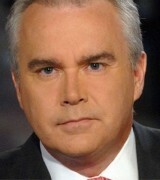 The winners of each category, along with the winners of the Journalist of the Year and Outstanding Contribution Awards, will be announced at a ceremony hosted by broadcaster Huw Edwards, pictured, at the Mercure Holland House Hotel, Cardiff, on 23 March.